Make the most out of living and studying in one of the world's great capital cities. London has been named the fifth best city worldwide in which to study by QS Best Student Cities 2016. Alongside London's "world-class" facilities and links with business and the professions, the city was also commended as "one of the planet's great centres of culture and creativity". QS describes London as "a nerve-centre of global academia". However you like to spend your free time, student life at City offers a huge range of opportunities. Explore the local area. City, University of London is in Islington, an area of central London that is known for its great cafés, bars and restaurants, theatres and arts venues. Live in central London. We are just a few Underground stops away from London's West End, the British Library and many free museums. Explore. London is the gateway to the rest of the UK and to Europe! International Students House runs a travel club that offers a range of subsidised trips in London and further afield. We are also members of HOST, which gives international and EU students the chance to spend a weekend with a British family outside London. Go shopping. Islington is known for its creative, artisan shops. Head further afield and explore London's markets and the shopping areas of Oxford Street and Covent Garden. Go out. We are in the heart of the Capital, so you won't have to go far to find new club nights, the latest films, and highly-rated dance, theatre, cabaret and comedy shows. Live in the centre of London. City is located in central London. It's close to several Underground lines so it's easy to travel around. You're just a few stops away from London's flagship shopping area - the West End, including Oxford Street and Covent Garden. Plus, students get a 30% discount on the cost of a weekly travelcard. Try something new. When you're living away from home for the first time, it's the perfect time to try new things. How about taking up a new sport or becoming a community volunteer? City has countless sports clubs and societies to join. See art, music, theatre and dance. Every week you can find thousands of exciting cultural events across London - and many give student discounts. Try Tate Modern, the Royal Festival Hall, the National Theatre, Sadler's Wells and many more world class cultural venues - some just minutes away from City's campus. Explore the world's knowledge. The British Library has 14 million books, 920,000 journal and newspaper titles and 3 million sound recordings. City students can access this extraordinary collection once they have a free Reader Pass. And it's just two Underground stops away (Angel to Euston on the Northern Line). Get free entry to museums. The permanent exhibitions of some of Britain's best-known and best-loved museums are free for anyone to see. Don't miss The British Museum, The Victoria and Albert Museum and The Science Museum. The British Museum is also just a short walk away from the campus. Discover London nightlife. London nightlife is famous the world over. On any night of the week you'll find a huge range of events, many of which are free or discounted for students. Connect with London business. London is a major international hub for a wide range of industries - including finance, creative and media. City's location and links with the City of London make it the perfect place not only to study, but to build networks which will carry you through your career. Meet someone new every day. London is one of the most culturally diverse cities in the world and City is no exception. We have international students from all over Europe and every single continent. No matter where you are from you will make fantastic friends and work collaboratively on any course. Don't just take our word for it. 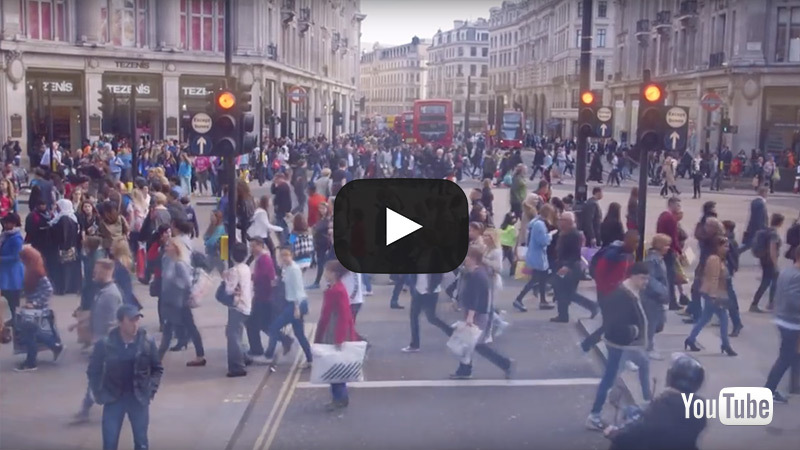 But don't just take our word for it, hear about why our students love studying in London and their experiences of studying at City. Current students Aurelia, Eve and Jack introduce their life as students in London, studying at City.